Danish Prime Minister Lars Løkke Rasmussen recently has proposed in parliament that new sales of conventional petrol and diesel vehicles should be banned from 2030 onwards. By 2030, 1 million hybrid or electric vehicles will be on the street of Denmark. The Danish government is determined to ease climate change by the measure above to follow the Paris Agreement. Rasmussen pointed out that this goal is very challenging and ambitious, but that is exactly why we should try it. In as soon as 12 years, Denmark will prohibit sales of new petrol and diesel cars. In 17 years, each single new vehicle sold must be an electric one or any form of zero-emission one. By 2035, new sales of hybrid car might be phased out. Eventually, all cars on Danish roads will be electric. Denmark is a global pioneer of energy transition. It is devoted to reducing carbon emission by 2020 to 66% of the 1990 levels. It aims to increase renewable energy share to 55% of the country by 2030. The Denmark government has decided that by 2050, 100% of the country’s power generation, transportation, heating and air conditioning should be powered by renewable energy. 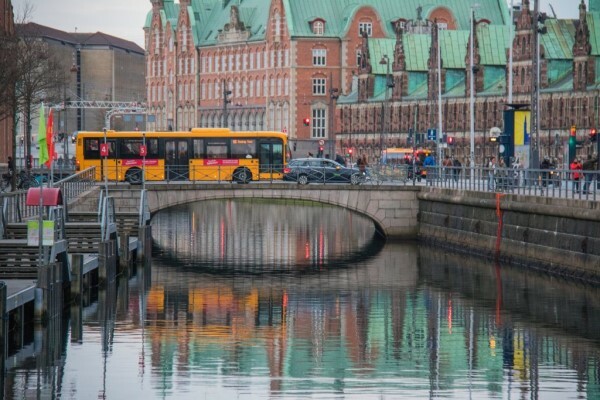 In order to support zero emission transportation, Denmark promises to subsidize 70 million DKK (about 330 million NTD) for electric vehicle's charging infrastructure, and hydrogen and gas of heavy industry equipment. However, this proposal has not been approved by the parliament. Before approval, Denmark has to deal with the issue of public finance and tax administration. The issue will be described in the coming paragraph. In order to reduce air pollution and increase sales of electric vehicles, governments tend to offer subsidy or tax incentives to stimulate purchases. In the Danish case, Denmark doesn't have a powerful domestic electric vehicle industry. Thus, when Denmark’s government promised that imported electric cars would be exempt from the 180% tariff, the domestic non-electric car industry had complained because this exemption had strongly redirected sales to electric vehicles. Due to the political reason above, this tariff waiver was abolished in 2016. Then the EV sales crushed in Denmark. To solve the issue above, Rasmussen expressed that the rapidly-plummeting sales of EV made the government reconsider the coming back of EV subsidy, and tax incentive might even increase. Because of energy-saving and environment-protecting trends, many countries have gradually set up a schedule of banning new sales of petrol and diesel cars. Norway was the first one. In 2016, Norway announced to prohibit sales of new internal combustion engine (ICE) cars by 2025. Then the next countries in line are Germany, Ireland, India and the Netherlands, which plan to disallow sales of new ICE vehicle by 2030. As for France, Britain and Taiwan, they are expected to achieve zero-emission transportation on domestic streets by 2040. Bloomberg New Energy Finance (BNEF) predicted that between 2020 and 2030, EV price will be about the same level as traditional cars. By 2030, global EV sales might exceed 30 million cars.